If you’re looking for a home-based job with a Fortune 500 company, Dell’s home-friendly policy could make it a good fit. “We’re pushing a culture where your location simply doesn’t matter anymore,” said Dell’s Global Director of HR, Mohammed Chahdi, in a CNNMoney interview. 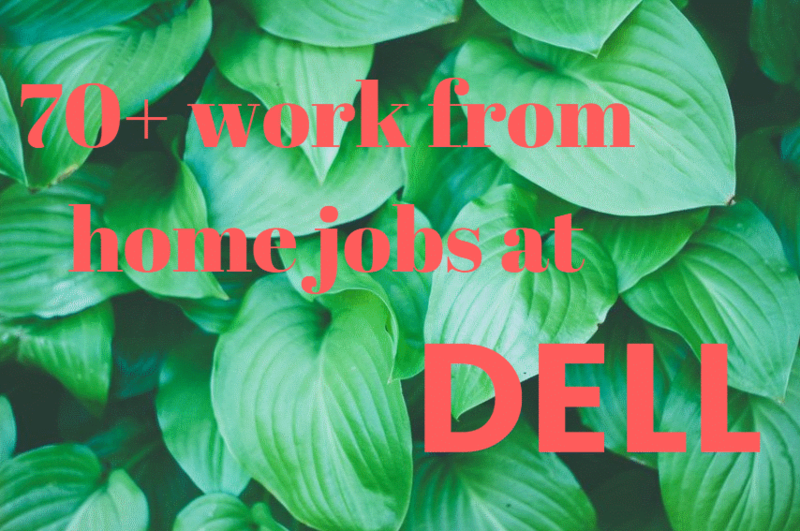 Dell has long been a leader in home-based jobs. It’s a natural role — the company sells laptops and other technology to enable remote work. Dell’s CEO Michael Dell wants to see half of Dell’s employees working from home by 2020. The company also provides benefits, which depend on location. (The company is international, so benefits vary.) For more on benefits, click here. In addition to the work at home option for its jobs generally, Dell almost always has jobs open designated as “remote,” with 70+ listed now. Positions include Account Executives, Consultants, Software Developers and many more. To see the “remote” jobs click here. For Dell jobs generally, click here (over 4,900 open).